Olive oil is an edible oil is characterized by a very high content of monounsaturated fat. The typology is derived from the mechanical pressing virgin olive fruit of the species Olea europaea. Other types of products derived from olive oil, but with different organoleptic and dietary properties, are obtained by correction of virgin oil and solvent extraction of olive pomace. Product of the traditional food of the Mediterranean, olive oil is currently produced in the other regions with Mediterranean climate. Italy is the second largest producer of olive oil production with a national average of over 6 million tons, of which two thirds virgin and 37 PDOs well recognized by the European Union. In Italy the olive has spread about 1 million hectares in primary culture and on an area of just under growing, subsidiary with crops or other tree species (vines, citrus, almond, etc.).. Regarding altitude areas the olive has spread to 11% in the mountains, hills and 62% to 27% in the plains. For the very characteristics of the plant, which needs a mild climate, olive cultivation is widespread in Italy in the central regions (19%) and southern (79%), while the north is more limited production (2 %) - but increasing - particularly focusing on some areas more temperate microclimate, such as Liguria or hilly areas around Lake Garda. 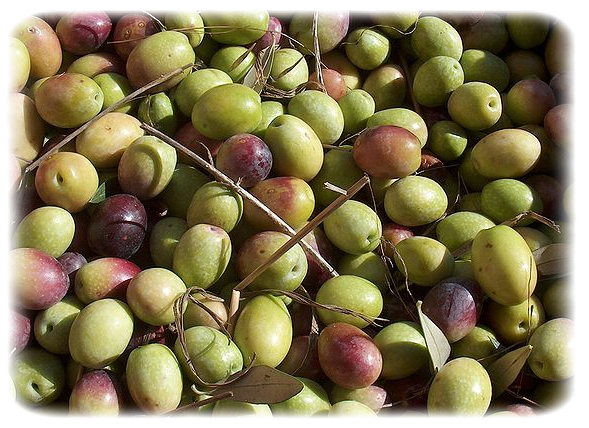 The plants are about 170 million in production and farms that are involved in olive production are more than 1,000,000, so the average areas under cultivation are the order of about 1 hectare, reflecting the extreme land fragmentation.